First Sentence: Blood leaves no stain on a Warden’s grey cloak. Reason for Reading: I wanted to visit with my old friend, Harry Dresden. This is by far one of my favorite series to read. Comments: I know a handful of fellow booklovers who do not like reading book series for one reason or another. Most say that they do not enjoy having a story drawn out over many books, lose interest in the characters, and one or two have gone so far as to suggest that reading series books is a waste of time with so many different authors out there whose books they would like to try. I think they have commitment issues, myself. Seriously though, I like revisiting familiar characters—it’s almost like visiting an old friend. Most of the series books I read can stand alone if the reader is only interested in the main story line. There are usually personal or side story lines that thread throughout the books in a series. I have found, however, that I prefer to read a series in order simply for the opportunity to see the characters grow and progress through their lives. Not to mention it’s an opportunity to see an author grow as well. 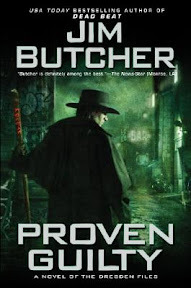 With every book of the Dresden Files series I have read, I am amazed at the talent Jim Butcher has for sucking a reader in right from the start and not letting go until the very last page. 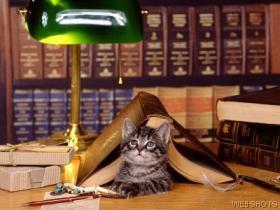 His previous books have often been nonstop action and suspense. Although this latest novel is chalk full of suspense and life threatening, it also offers a moment here and there for the heart rate to stabilize before the next heart racing moment begins. This provides for the opportunity to get to know some of the regular characters a little better, delving into their relationships with Harry, including gaining insight into Charity’s obvious dislike for Harry. Chicago’s modern day wizard, Harry Dresden, is now a Warden of the White Council, a position he never thought he would find himself in. As a warden, it is one of his jobs to enforce the Laws of Magic, laws that were designed to protect people from the misuse and abuse of magic. Often times the punishment for breaking one of the laws is death. With the war between the Red Court vampires and the White Council raging around the world, Harry is given the secret task of trying to find out why the faeries have not joined in the fight as expected. He doesn’t relish having to interact with the Sidhe again, however, he is the only one who might be able to get to the bottom of the matter. As is typical in Harry’s world, nothing is ever simple. To complicate matters, Harry finds out that black magic is afoot in his city, and he must find and stop it before too much damage can be done. It seems that the evildoers from horror movies are coming to life, attacking and murdering people at a convention for horror movie fans. It becomes even more personal for him when the life of the daughter of his good friend Michael is threatened. Once again, Harry finds himself racing against time to come out ahead—and almost all the odds are against him. Author Jim Butcher has delivered another great urban fantasy that had me racing through the pages to find out would happen next. I look forward to the next book in the series to see where Mr. Butcher will take me next. I just wish I didn’t have to wait so long for the next book! Favorite Part: I adore Mouse. He’s such a great character and who wouldn’t want him on his or her side in a pinch? Miscellaneous: When I hit the half way mark in this particular book, a hint of sadness touched my thoughts. With this book, I am all caught up in the series and will now have to wait for any new books to come out. I am eagerly awaiting the TV series that is being made based on the Dresden Files—I hope it is even half as good as the books. I love the Dresden series as well - I am only up to book 3 in the series. However, I have seen the Sci Fi series - and it is excellent. I understand Butcher was one of the producers - so was filmed very much as his books are. Only one in the series is taken from his books (the first book) the rest of the series are new stories. No word yet if a second series is coming out. I have only had the chance to see the first episode of the TV show, but I hope to catch it when it comes out on DVD (and hopefully it will! ).